Snacks are an important meal in the day. Though most of you would associate a snack to something unhealthy, snacks are eaten for health reasons! Eating healthy snacks helps you stay away from stomach problems such as acidity and constipation, and also keeps a check on your body metabolism. 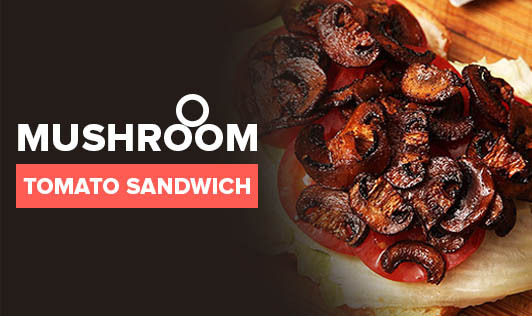 Here we bring you a recipe of a sandwich with protein - rich mushrooms and tomatoes. • Heat the oil and fry the onions for half a minute. • Add tomatoes and fry again for a little while. • Add the green chilli, coriander leaves and chilli powder and fry again for some time. • Add the mushrooms and salt and cook for a few minutes. • Cut each toasted bread slice into two. Spread the mixture on top and serve hot. You may add your favorite vegetable along with these.